Like most of the known world, I am playing Red Dead Redemption 2. I feel like I’m still pretty early despite investing a significant number of hours into the game already. Overall, I’m enjoying it. While it’s not a game without flaws, the Rockstar formula makes for a very engaging and unique experience in video games. One of the choices Rockstar made within the game is one I keep bumping up against, much to my own chagrin, it’s the karma system. Dubbed as Honour within this game. It feels really out of place, not only that, it feels dated. 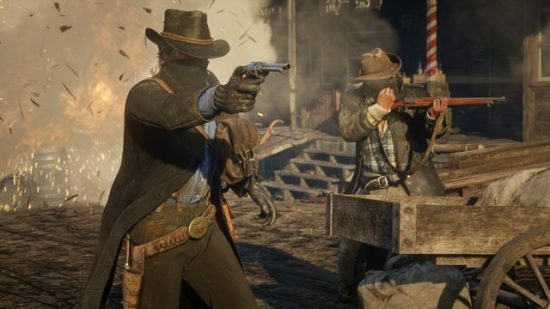 The main reason I feel like Red Dead Redemption 2 has its honour system in the game at all is just because it was in the first game. A game that came out in 2010. 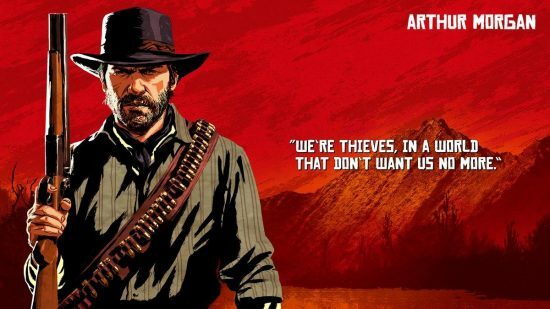 In RDR2, it doesn’t really feel like it belongs, especially when compared to the context of Arthur Morgan and the kind of person he is. The honour system here feels counterproductive. Morgan is a criminal; a thief and a murderer. It’s not that cut and dry though, deep down, he is a decent man. He has a distase for stealing from people he doesn’t feel deserve it, or can’t afford it. He is protective and fatherly to the members of the gang and oftentimes will go out of his way to take a higher moral road. Of course, this is only seen through the game’s story and cut scenes. When it comes to open play, Arthur’s actions are much more malleable, slave to the player’s whims. Honourable actions such as helping those in need and donating to the needy giving positive points, while dishonourable actions like killing and looting from innocents giving negative points. Arthur’s honour is displayed on a literal bar on which the player sits, sliding from left to right every time they gain points in either direction. Part of my issue with the game’s karma system is that the actions taken to gain or lose Honour seem vague and random. Looting the body of a person who assaulted you is dishonourable, and throwing a fish back into the water provides honour? But you don’t gain honour for ignoring bodies you could loot or lose it for keeping fish you catch. You’re gaining points for very mundane things compared to the ethical consiquences of others. It’s odd. Arthur seems like a complex individual with a flexible morality, something he would need given his lifestyle. 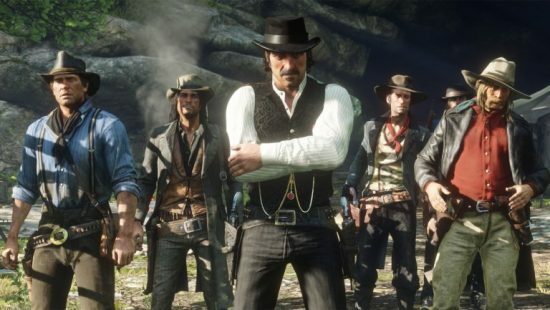 Which is something I feel Rockstar were trying to represent within the Honour system in this game. But there in lies the problem, it’s a system, and because it’s a system that involves mortality, I can’t help but game it. Any video game I play that has a karma, mortality, good/evil or a paragon/renegade type of system: I am compelled to role-play my character 100% in one direction or the other (9 times out of 10, it’ll be a goodie-two-shoes). Thus, I find myself constantly thinking about how I approach every situation in Red Dead Redemption 2 with that slider in mind. I find myself avoiding doing things that will result in dishonour, I’ll give myself up to the law, despite it being the most boring solution when given the option. I find my compulsion to act accordingly to a little bar actively detracts from my gameplay experience. 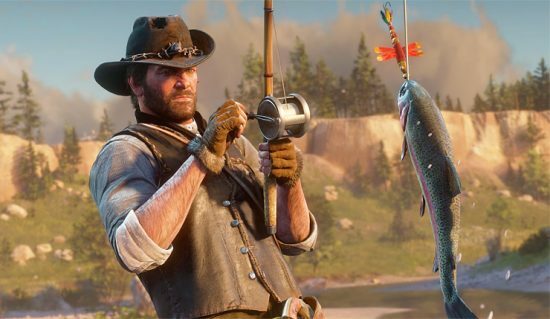 I’m still only about half way through Red Dead 2, but from what I’ve gathered of the story. Mortality, criminality and betrayal are heavy themes of the story. It makes sense there are so many systems that give repercussions for your actions within the game. People in the world react to you differently based on a whole number of factors, including your reputation as a honourable individual, or a dastardly rogue. It just feels strange when I’m trying to be the “nice” guy, but then I’m pistol whipping people on a train while robbing them and kicking the crap out of some poor farmer who got conned by a loan shark later. Why have the morality bar at all when many of the missions have you doing some very dishonourable actions, then not giving you can karma points one way or the other as a result. I’ve always felt that games that did away with gamifying their morality were so much better for it from a pure player experience point of view. My prime example being the Bethesda RPGs; Skyrim and Fallout 4. There is no karma in Skyrim, you can play that game however you want. Sure, there are repercussions for breaking the laws of the land, but those only apply if you get caught. You can steal and murder as much as you like, but if nobody sees you, then you’re good. Sure, from a role play perspective, it might seem I’d be gaming the system, playing a good guy who is okay with slitting people’s throats and stealing from them after saving their lives. But at the end of the day, it’s a video game. If I want to hard role play a certain type of character, I prefer it to be a self imposed restriction, that way I am free to do whatever the hell I want on the play through after. It feels like a unnecessary restriction on my experience. As much as I love the original Mass Effect trilogy, their karma system probably works against any genuine role playing you might want to do, especially when it comes to focusing entirely on either Paragon or Renegade giving you conversation option that provide the best solutions to problems. I really should just ignore the system and allow myself to play with the game’s interwoven web of systems more freely without worrying. Ultimately, it feels like a system that the genre has outgrown. In a game about the complexities of morality and personal freedoms, a simple good/bad bar feels woefully insufficient. Red Dead is a game where the criminals are oftentimes more honourable than the lawmen, and the government who creates the laws probably have the least honour of anyone. 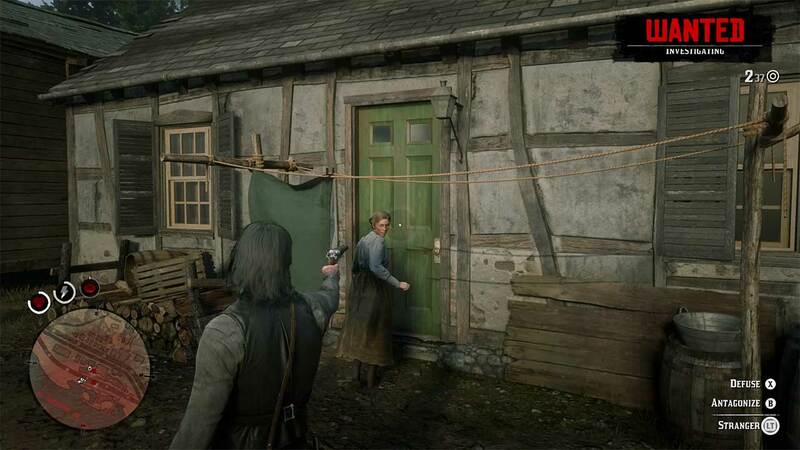 I kind of wish Rockstar had just made the Honour system a hidden stat, so the NPCs can still react to you accordingly, but people like me don’t feel inclined to be the nice guy one minute when I’m just going to be kicking the crap out of some old lady as part of the story mission a few minutes later. 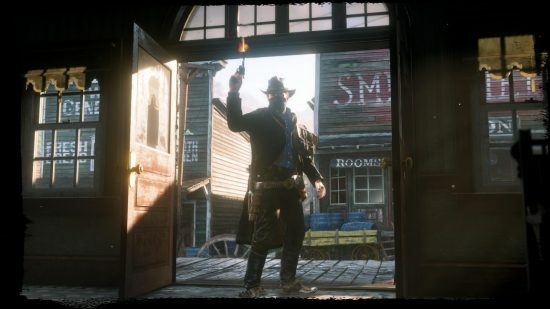 Posted on November 6, 2018 by WooderonPosted in Features and/or Ranting:, Video GamesTagged Arthur Morgan, cowboy, grand theft horse, honour, John Marston, karma system, red dead redemption, rockstar games, wild west. I genuinely do appreciate your comment Irina. Especially after I used your blog to have a moan about my own problems. Haha. Red Dead is a standard Rockstar game, it’s incredibly well made and complex. doesn’t mean I don’t have problems with it. I’ll probably end up posting a few more of these regarding my various nit picks.